RuiseartDòmhnallach wrote: Mar sin dheth, chan eil mi cinnteach dé tha na h-ìrean labhairte ‘s tuigte agam. A bheil deuchainn ann gum faod mi feuchainn gus na h-ìrean agam fhiosrachadh? Hàlo, is mise Gealsolas no Christopher! Tha mi à Machlainn anns Alba agus tha mi ag ionnsachadh Gaidhlig. Tha mi a' dol clasan a h-uile seachdain agus tha mi anns na Commun na Gaidhlig aig oilthigh Srath Chluaidh. Cuideachd chaidh mi aig an... "quiz" na Gaidhlig anns Glaschu air oidhche Mhàirt agus chaidh innse dhomh mu am Foram seo. Last edited by Gealsolas on Fri Jan 17, 2014 11:16 pm, edited 1 time in total. Nach math sin gu bheil thu ag ionnsachadh Gàidhlig! A bheil thu nad oileanach ann an Glaschu? Shin thu, Christopher, 's mise an Gearmailteach a bha mu do choinneamh agus is GunChleoc a' bhana-Ghearmailteach a bh' air an aon bhòrd Math d' fhaicinn an-seo! Tapadh leibh faoileag. Tha mi fuireach aig dhachaigh à Machlainn agus gabh am bus dhan Glaschu gu an Oilthigh. Tha mi toilichte d' fhaicinn akerbeltz, mo charaid Ghearmailteach. Móran taing gu GunChleoc agus do eadar-theangachadh! Hàlo - I'm an absolute beginner - though I have studied Gaeilge for a while, which should be a help. Not so long ago I filled in an on-line test for Gàidhlig and got full marks simply because the way the language works is so similar to Irish. That doesn't mean to say that I fully understood what was in the test. Part of my family was originally Scots, but I have lived for many years in France. I like the singing of Julie Fowlis and the Group Dual, Kist o Dreams by Christina Stewart. I'm interested in children's rhymes, songs and stories in Gàidhlig and in Scots. Fàilte, a fhranc! Welcome, Franc! You'll find your Irish background quite helpful for Gaelic, and once you figure out which sounds are equivalent (for example, "ta" in Irish is "tha" in Gaelic, with th being silent) you'll probably get a lot of momentum from that. umm... it's not actually silent, a Mhairead. To transcribe it like English, I'd probably put "Ha! ", as that's more-or-less what it sounds like - a H with an A as in "bad" etc. Also, "ta" is actually Ghailck, or Gàdhlig Mhanainn: in Irish it's generally "atá", i.e. 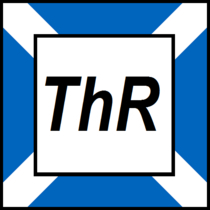 the two bits of the Gaelic form "a tha" run together. You also find that form written in Classical Gaelic. Negatives are a bit different in Gaelic. In Irish, they're usually done with "nÍ", with "nÍ bhfuil" contracted to "nÍl". In Gaelic, they're usually done with "cha[n]", e.g. "chan eil" (in Manx, "cha nel"). An toil leat Julie Fowlis ban-sheinneadair? = "Co you like the singer Julie Fowlis? Càit' a bheil thu a' fuireach? - Where do you stay? Tha mi a' fuireach anns an Fhraing - I stay in France. Cò às a tha thu? - Where are you from? "Tá" can mean "is" in Irish, like in "Tá mé" for I am or "Tá do mhargadh déanta" for Your match is made. It's true that th is not silent at the beginning of words like in "tha", but it can be silent in other places like in "math." The point is, you may not hear the t because of the h, but once you see it spelled, you can see the connection to the Irish t.
Carson a bheil thu ag ionnsachadh Gàidhlig, a Fhranc? Why are you learning Gaelic, Franc? The Gaelic and Scots oral traditions are both very rich! I went to a Gaelic song workshop in St Andrews with Margaret Bennett, and she taught us some Gaelic songs. I really liked how some of them imitated birdsong. Do you have any favourite Gaelic or Scots songs? Is mise Constantin. Tha mi tri deug air fhichead. Tha mi ag ionnsachadh Ghàidhlig. Tha thu às an Ruis. Tha daoine eile air a bhòrd seo a tha às an Ruis cuideachd! Welcome , Constantin! You are from Russia. There are other people on this board who are from Russia too! Tha mi gle thoilichte gu bheil daoine eile a tha às an Ruis air a'bhord seo. Tha mi an dochas gum bi sinn uile nar caraidean. Last edited by Nahimov on Sat Oct 25, 2014 5:12 pm, edited 1 time in total.